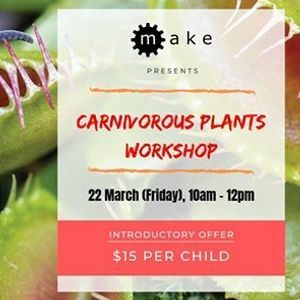 In a 'killer' twist to normal terrariums, how about create one using carnivorous plants? Learn how to create an artificial water bed and the proper layering of soil/substrate to optimize growth conditions. 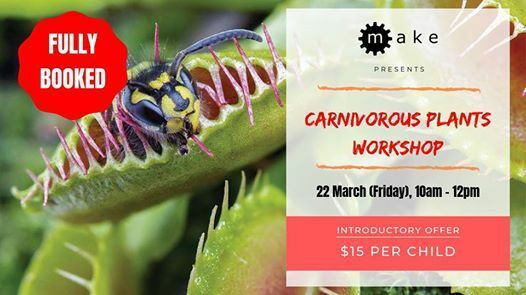 Participants will also learn about the different varieties of carnivorous plants and their unique ways of capturing prey insects. Each participant will also learn to transplant and bring home a pot drosera (sundew).